When you want to test some “real” stuff, it can be useful to have a Hive table with some “big” data in it. Let’s build a table based on Wikipedia traffic stats. It will contains page counts for every page since 2008, allowing us to have partitions too. These stats are available here so let’s grab those files first. This is a lot of files, here we’re getting only 2008/01 files, which are each between 20 and 30MB. fr.b is the project name (french books), then the title of the page, the number of requests and finally the size of the content returned. When you enable security on your HDP cluster, the wizard deletes the ATS (App Timeline Server) which is useful to follow YARN applications history. In the Hadoop world, and especially in the YARN sub-world, it can be tricky to understand how to achieve memory settings. the combination of the above will give us the max containers number : total memory / container memory = containers number. The last parameter is yarn.nodemanager.vmem-pmem-ratio (default 2.1) which is the ratio between physical memory and virtual memory. <description>The list of zookeeper servers to talk to. <description>Whether Hive supports concurrency or not. Locks (hive.lock.numretries) are tried 100 times, unlocks (hive.unlock.numretries) 10 times. 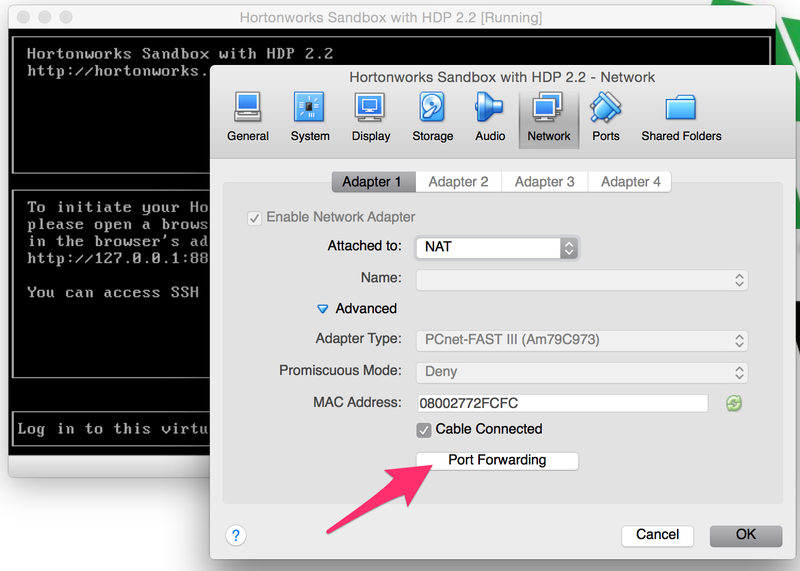 When using the sandbox, you can be confronted to a port forwarding issue. 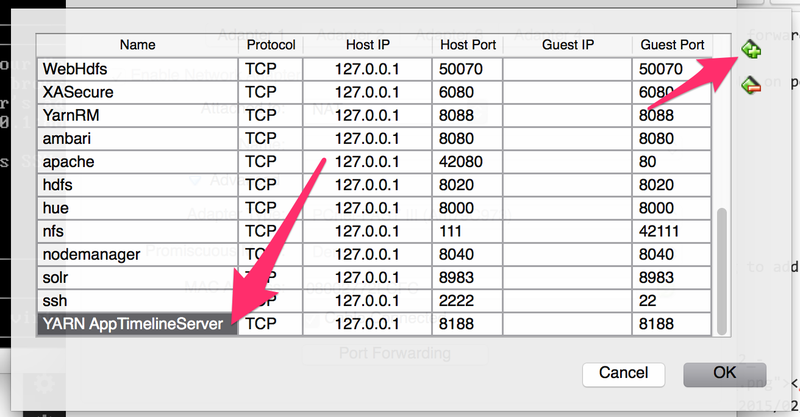 For example, if you try to access AppTimelineServer webUI on port 8188, you’ll have a “Connection refused”. Connection to 127.0.0.1 8188 port [tcp/*] succeeded! Let’s quickly add a new table to be able to play with Hive. The exercise here is to make a very simple Nagios plugin to be integrated in Ambari webUI. We’ll check if the cluster is in safe mode or not, and put that alert into Ambari. First let’s make the plugin, in the same directory you’ll find all scripts used by Ambari which you can duplicate and adapt. Notice that you have to echo something before every exit in the plugin, else Nagios will give you an alert. In /etc/nagios/objects/hadoop-servicegroups.cfg, get the service the plugin will run into. Here, we’ll put this alert in the HDFS service. Notice that normal_check_interval is minutes between checks. Then you can leave safemode to be ok ! Note that this is just for demonstration purpose : the plugin is not implementing Kerberos for example, like in the check_nodemanager_health plugin. You may also note that Nagios is writing its output to the /var/nagios/status.dat file which is collected and read by Ambari to display its information. By default, WebHDFS is enabled on your cluster, allowing you to make any HDFS operation through this REST API. [hdfs@gw vagrant]$ curl -i --negotiate -u : -X PUT "http://nn.example.com:50070/webhdfs/v1/tmp/testfile?op=CREATE&overwrite=true"
Notice that we obtained a location in the last request result, with the datanode where the resource will be created. Now we upload our file to that URL. [hdfs@gw vagrant]$ curl -i -X PUT -T MY_LOCAL_FILE "http://gw.example.com:1022/webhdfs/v1/tmp/testfile?op=CREATE&delegation=HAAEaGRmcwRoZGZzAIoBS4KzxDuKAUumwEg7CQgUs7isYeQ5F6u4cV-oSig--MQFgU8SV0VCSERGUyBkZWxlZ2F0aW9uDzI0MC4wLjAuMTE6ODAyMA&namenoderpcaddress=mycluster&overwrite=true"
When trying to enable HA NameNode wizard, I encountered this weird exception in Install JournalNodes step.